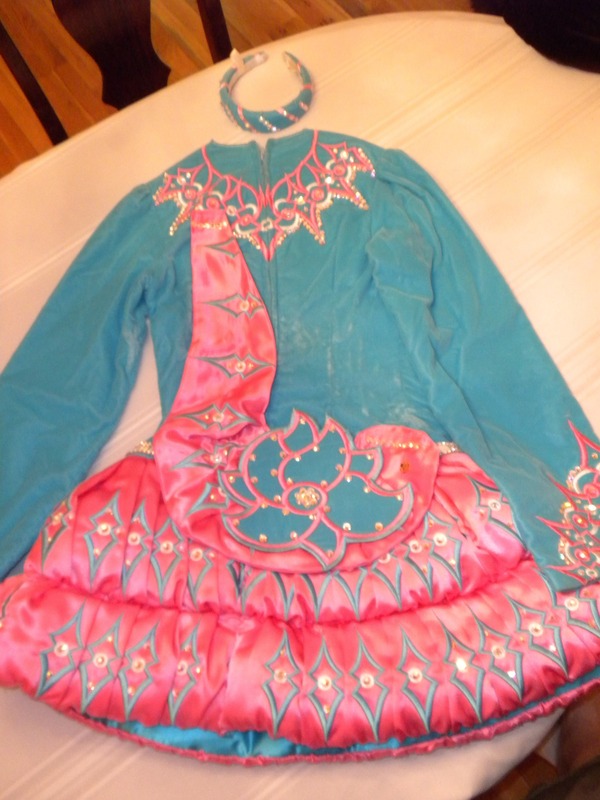 This vibrant smurf blue/rosy pink double bubble velvet bodice Gavin dress is totally blinged with Swarovski crystals throughout. 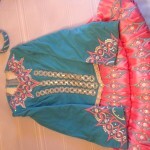 Pink and white stitching decorates the neckline and cuffs. Bodice and the drop waist are adorned with unique crystal belts for added effect. 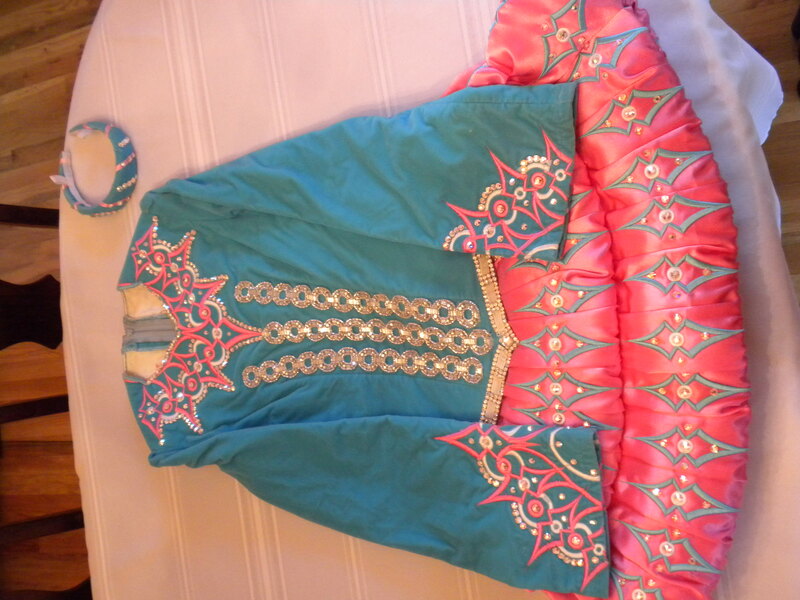 Shawl is pink, the underskirt, bloomers and headband are blue. 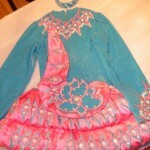 Ideal for tall, slim dancer but can be shortened. 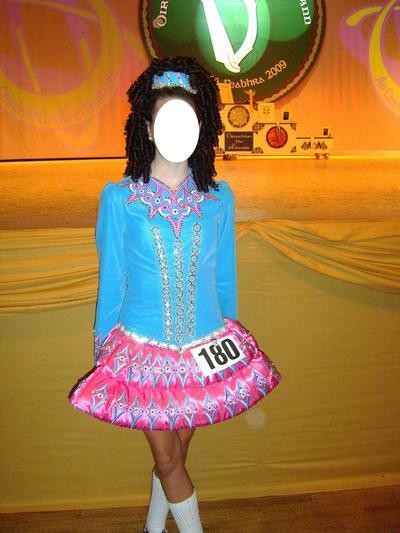 Dress was made for the 2009 All Irelands and is available for immediate shipping. Dress comes from a smoke-free home, with no make-up marks/tanner or odors. Additional photos available upon request. Asking Price: $US1500. Shipping costs are included for my own country, overseas shipping is extra. Sale is final.